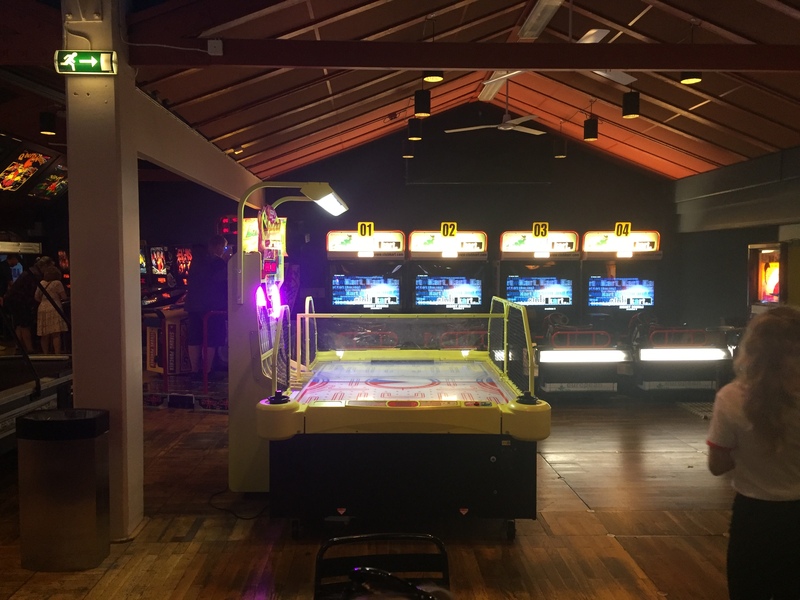 This is a follow-up article from the one I posted in 2015, most of the Arcade is the same as last time although there are a few brand new ones in here as well as the return of some older classic ones. 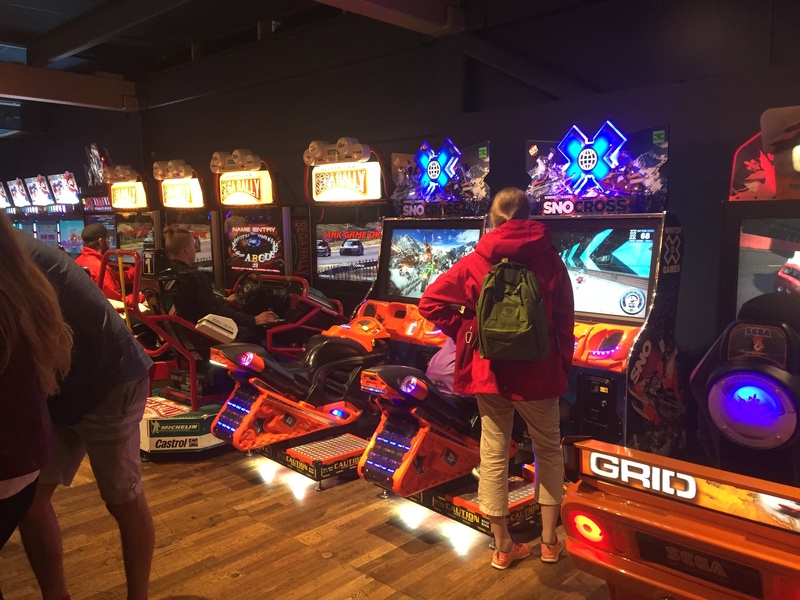 Sadly most machines are from the year 2000 and up and most are light-gun, music and driving games, that said… one heck of an impressive Arcade nonetheless which grace three floors with over 300 arcade machines. I decided to start with a few location shots, sadly most shots are crowded this time around as i had no time to wait it out to get clean shots. 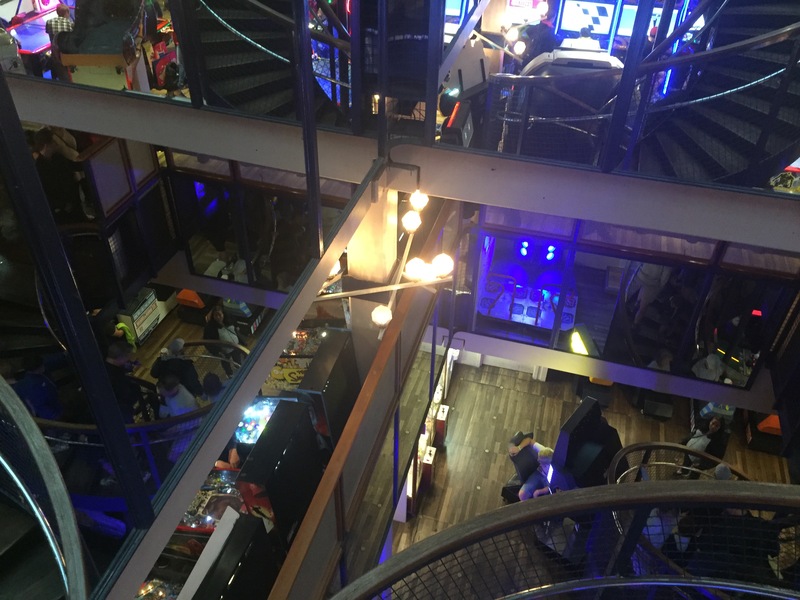 I tried to do a 360 picture too… didn’t work out too well sadly, always someone walking past or whatever. 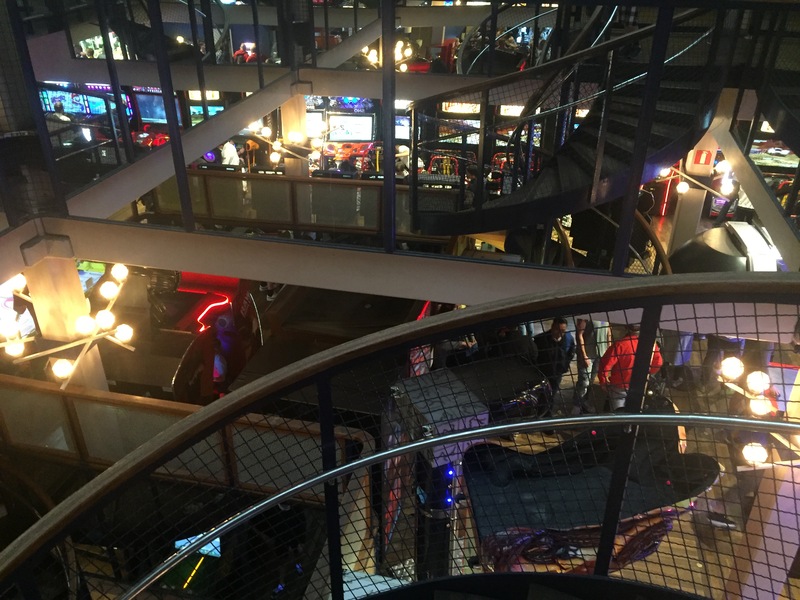 Anyways, it should indicate how big this arcade is. Another 360 but this time from the second floor… not too happy with the result here but I included it anyway. 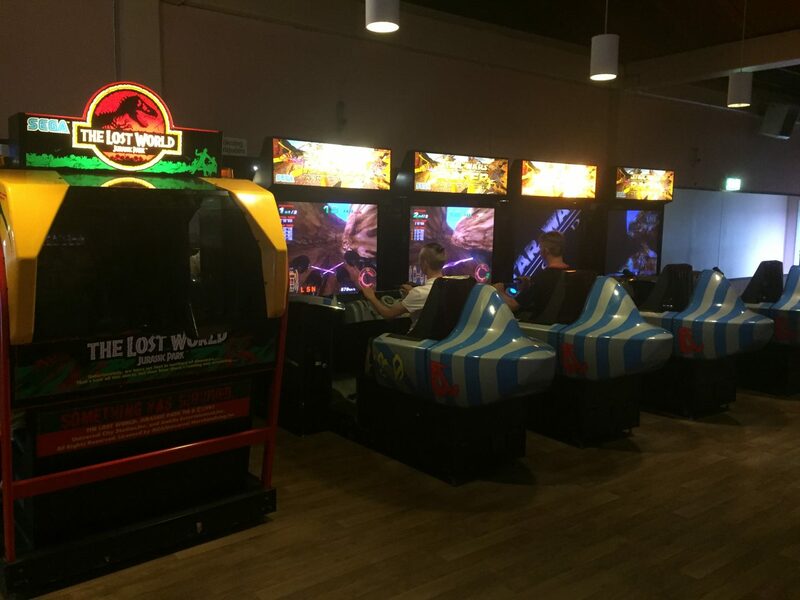 We need more arcades like this! 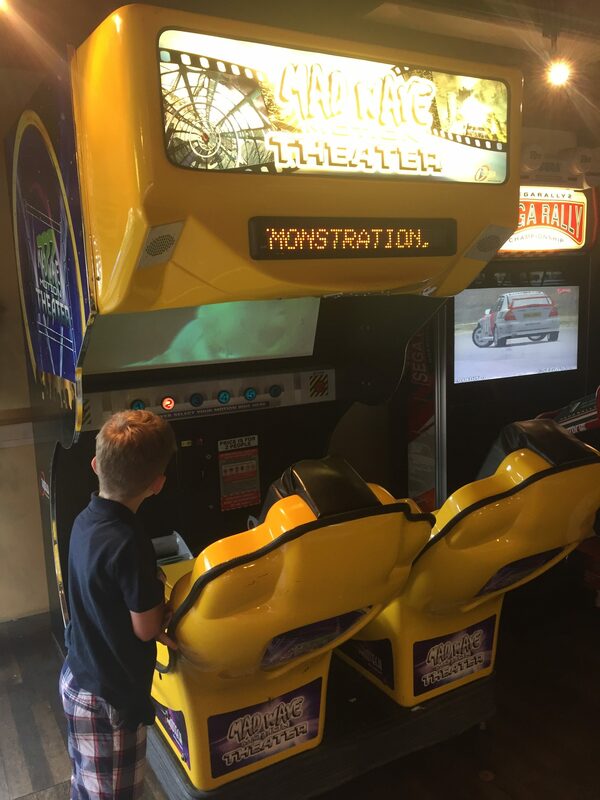 we need more non-driving and light games cabs too!. 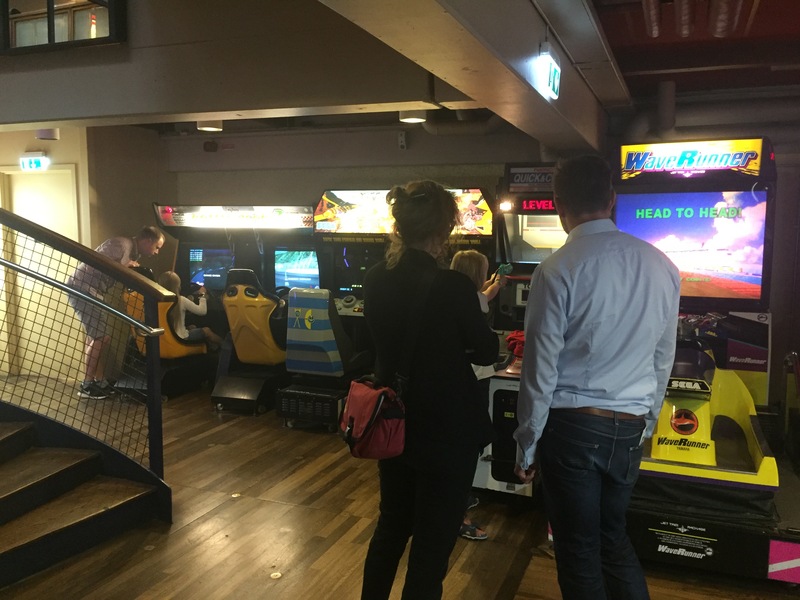 Wish i had more time to do proper pictures of the whole Arcade… oh well, maybe next time. 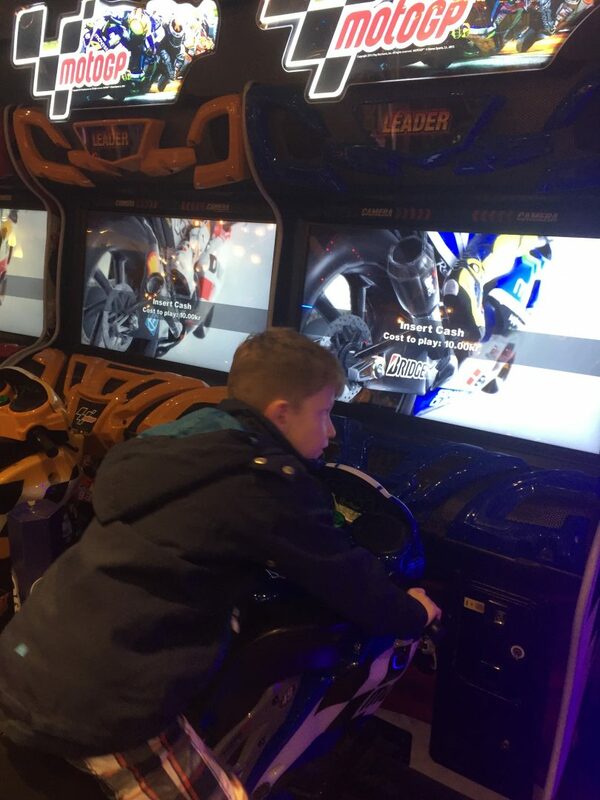 The Fast And Furious Super Bikes arcade, 4 players full version and as always very popular with the young ones. 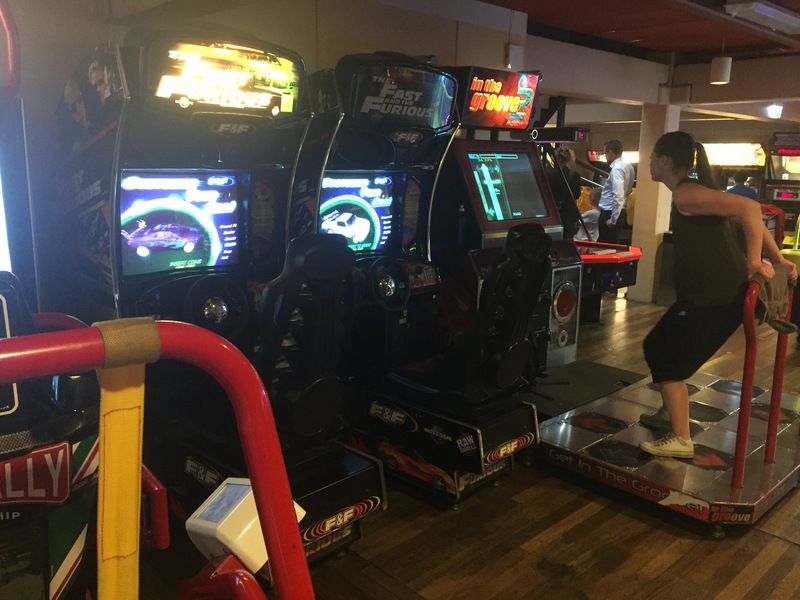 Dancing Stage 2 is still wildly popular and it’s always fascinating to see people master them, there was a dude dancing before this girl that really impressed but sadly the video i did look bad so i decided to not include it. Amazing how this genre died off, only 1 game made it to the PS3 and that wasn’t all that good. 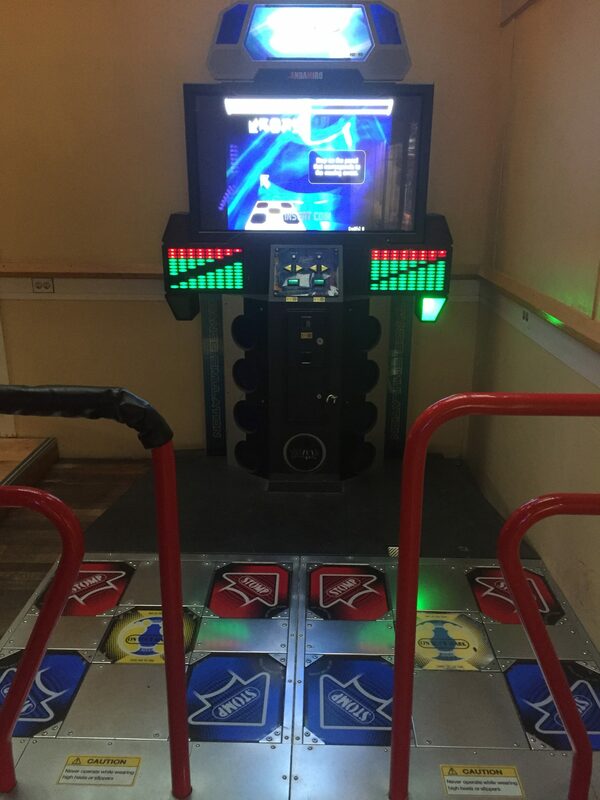 It’s time to revive dance mats with Europop/Jap-pop again!. 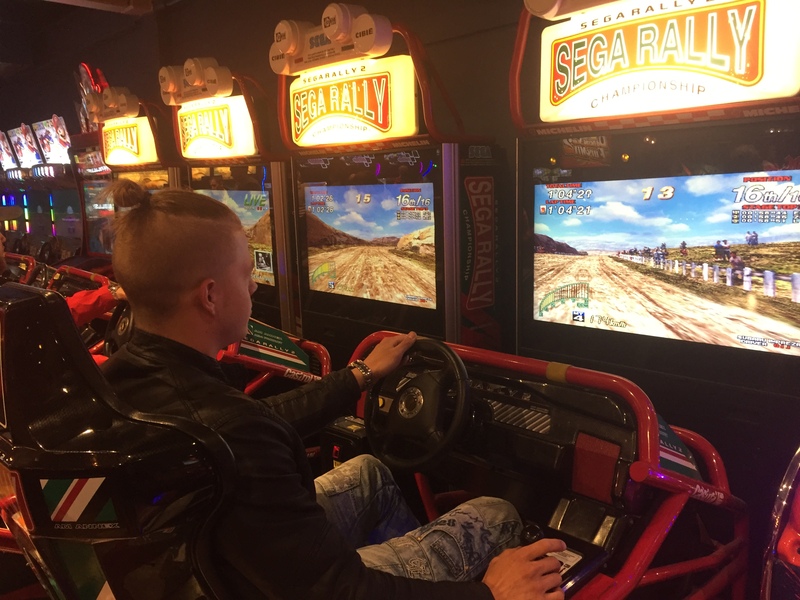 SEGA RALLY 2 with the Rally cars in action, still awesome and still popular.. is it the retro age or is the game really that good? , i can’t tell due to my fanboy glasses sadly. Star Trek, AC/DC and Avatar next to each other can only mean one thing right? 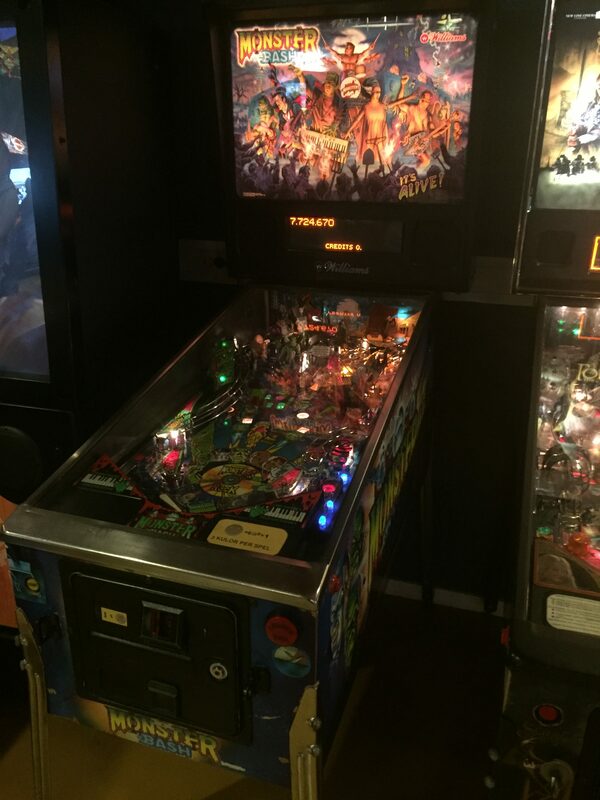 Yup, we are now in the pinball section of the arcade, some new machines here even, look below for more. Oh look and behold! 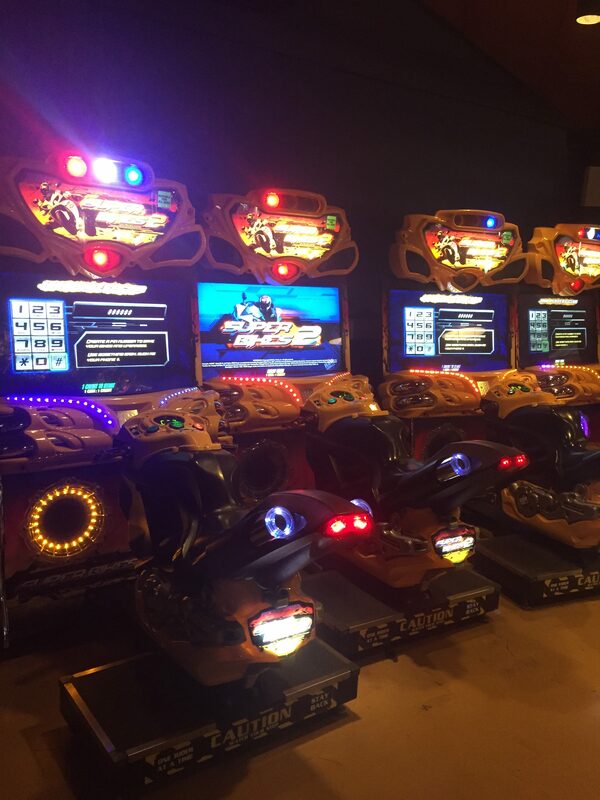 new machines! Never tried these two before, really refreshing to see these games here. 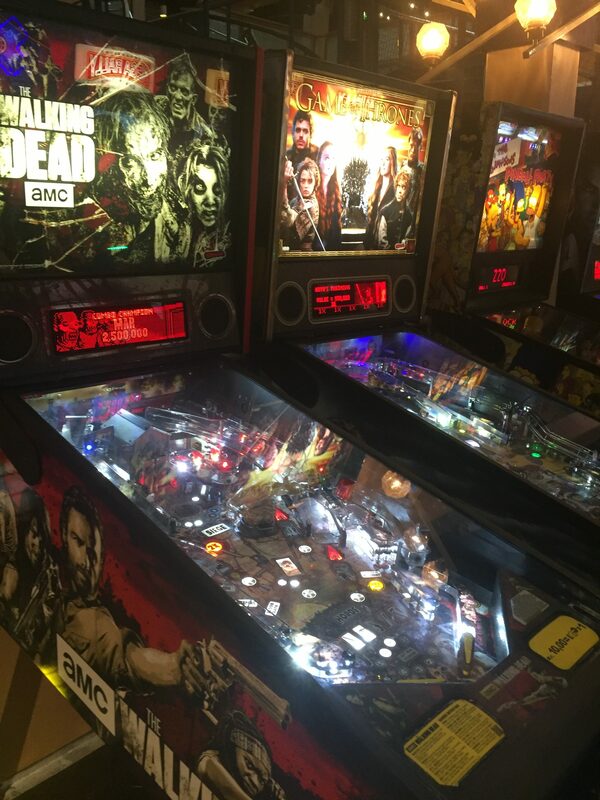 The Walking Dead Pinball (2014?) 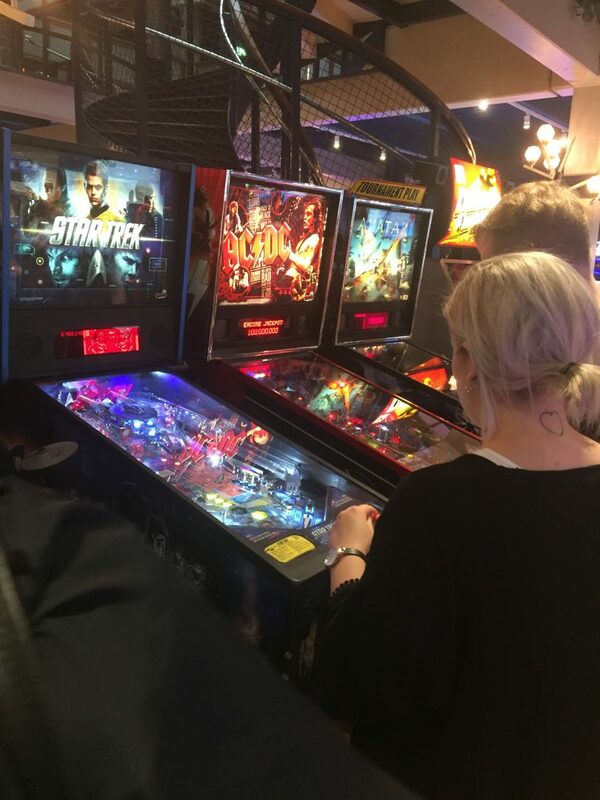 and Game Of Thrones Pinball (2015?). 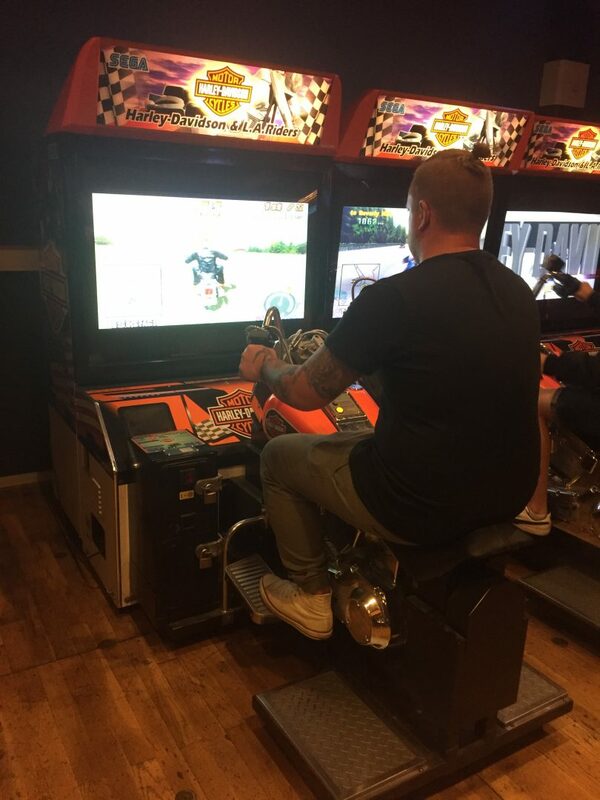 The double Sno Cross machine is still there, still, people playing this and we still haven’t got any home version!. What happened to the Skidoo market?. 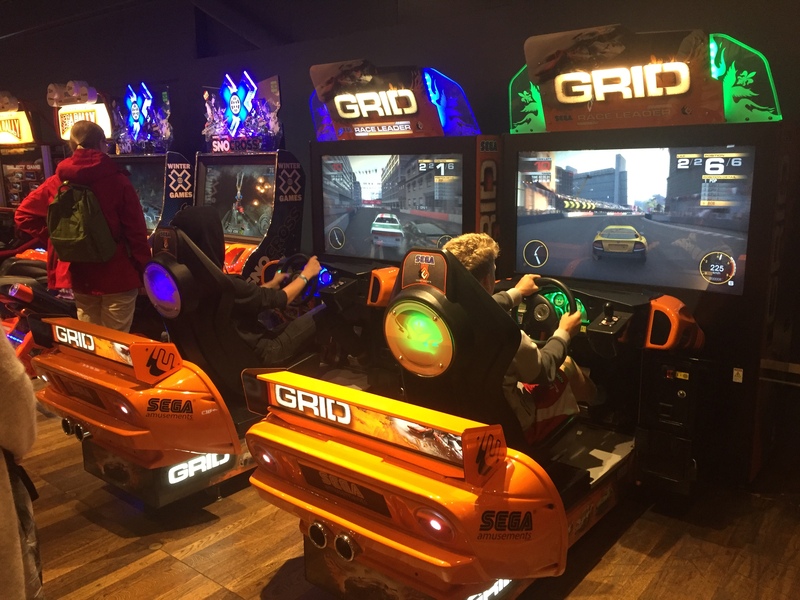 I first bumped into the GRID arcade in Denmark some years back and since then i seem to see it everywhere… typical ain’t it? Still popular and i must admit that i miss the game a lot, shame that the sequel sucked balls (consoles) and probably killed the franchise with it. 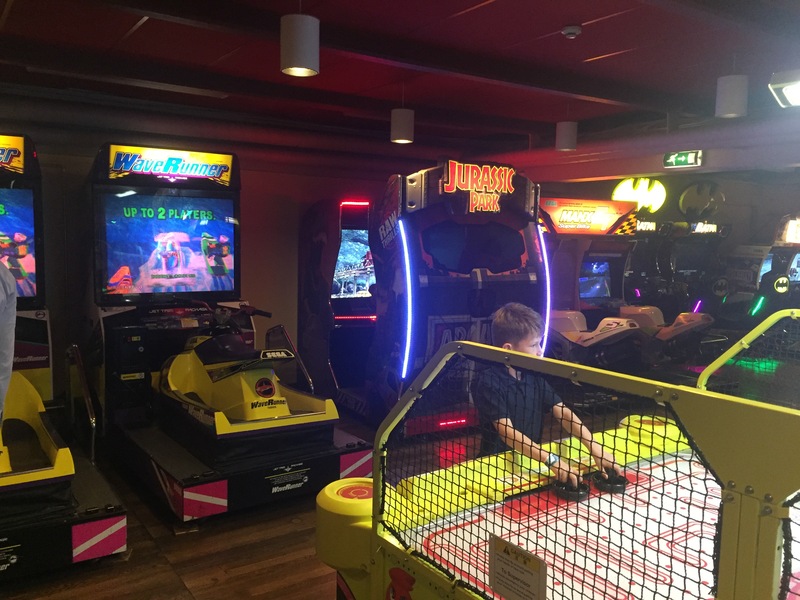 Here is one that i think is new at Liseberg, i have already written about the second edition of this one on the blog here and i am not actually sure what is different in them. A great game none the less, at least on the PlayStation 3. 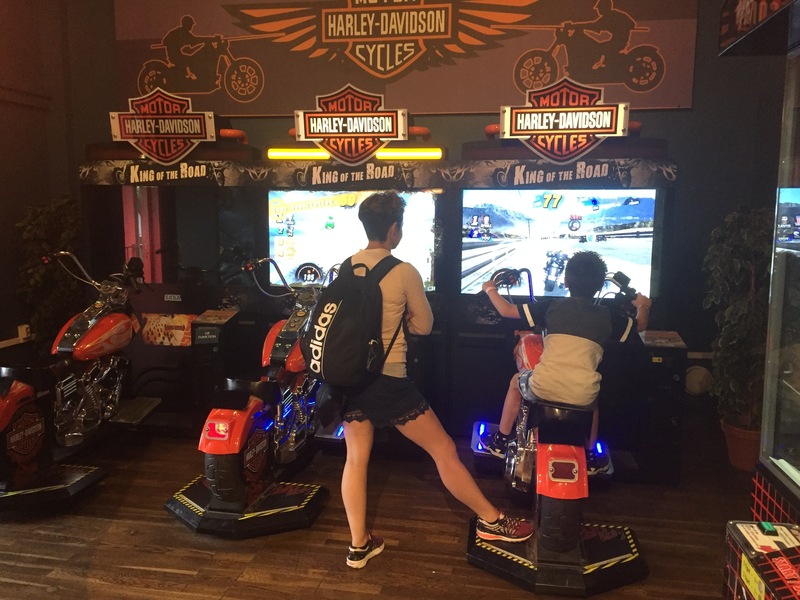 Harley Davidson is always popular, and in all honesty, i can say that i understand why!. 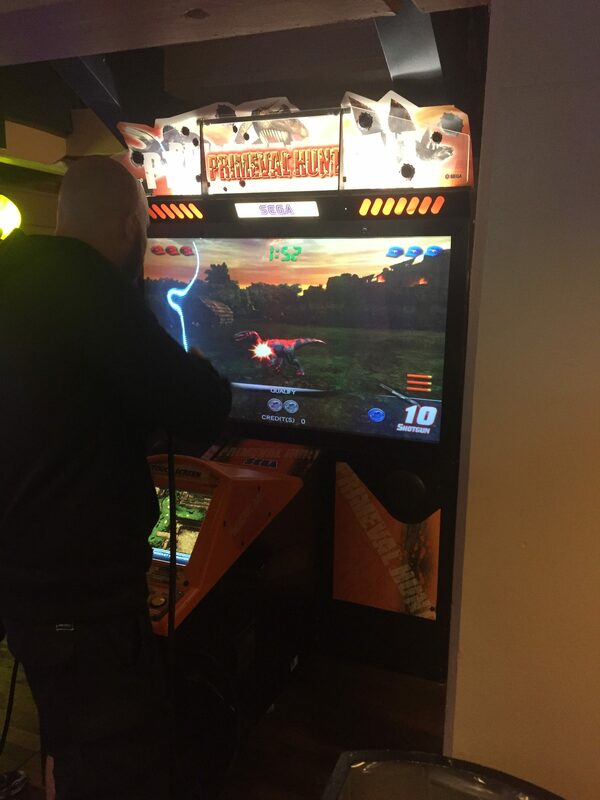 An awesome looking machine with an OK game. Pump Pro, not many used this one while i was there… i dunno but i guess it is down to the boring look?.. 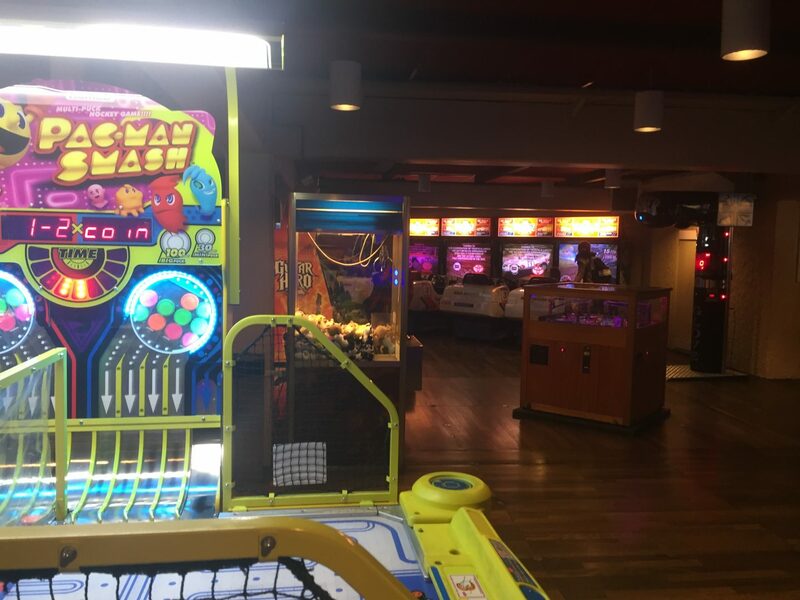 oh and that it was way back in the arcade? 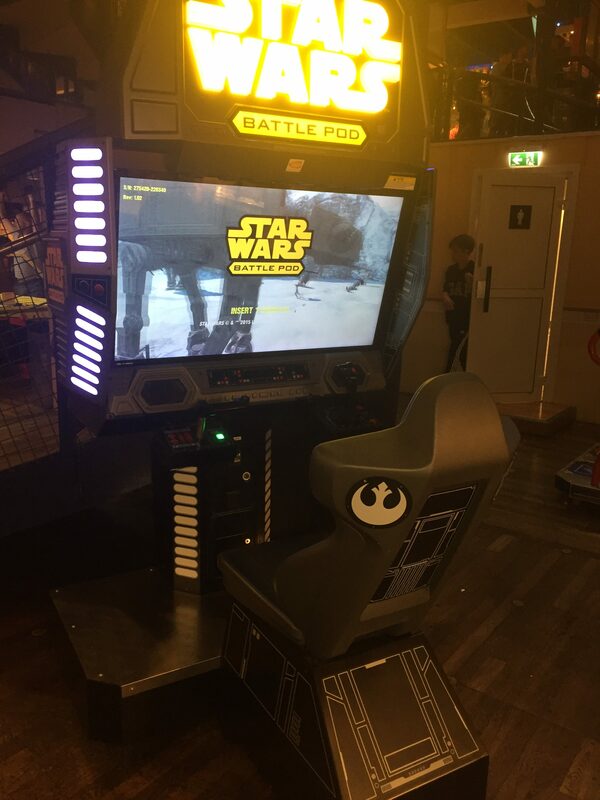 New game!, woohoo, Star Wars Battle Pod (2014?). Never seen this one before, and this was the only time that the seat was empty. Brilliant looking machine and probably the one i liked the most of the new ones. I naturally had to put some money into this and take that Ferrari (i know!) for a spin. 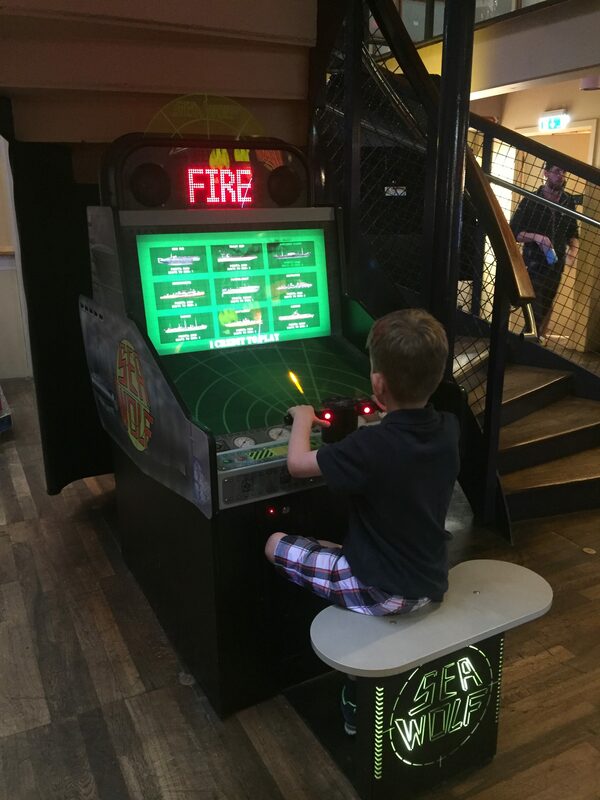 Let’s go Jungle, as always there was several of this one to be found in Liseberg, must have been a proper coin eater back in the day. 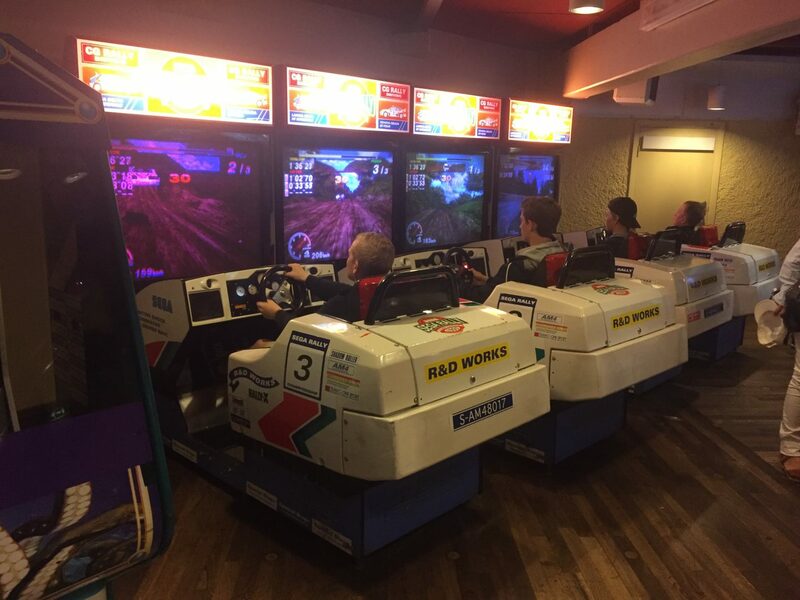 Another SEGA RALLY 2 unit, this time with the most common seats (at least here). 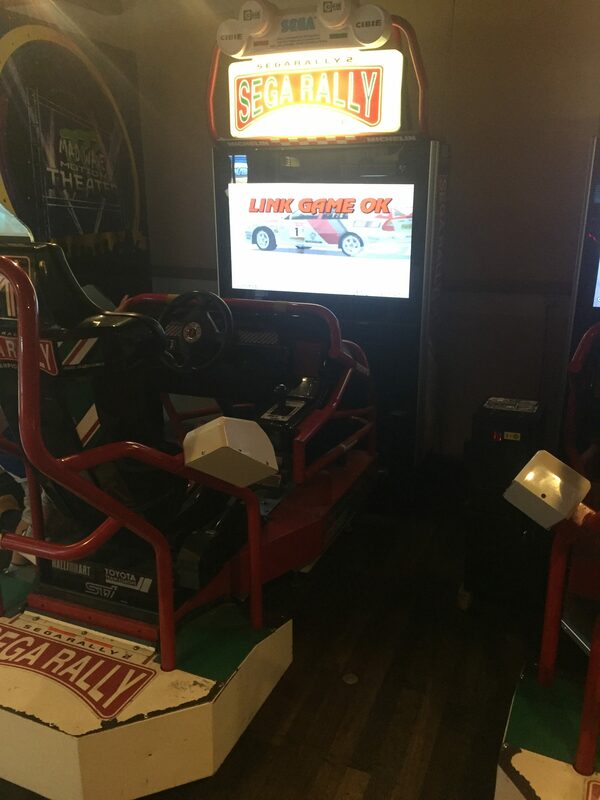 Another SEGA RALLY unit, this time with the full seat edition and backlit screens. Not a very sleek machine today looks way too bulky. The Ocean Hunter, good looking machine and quite popular too. Well worth my time and money. 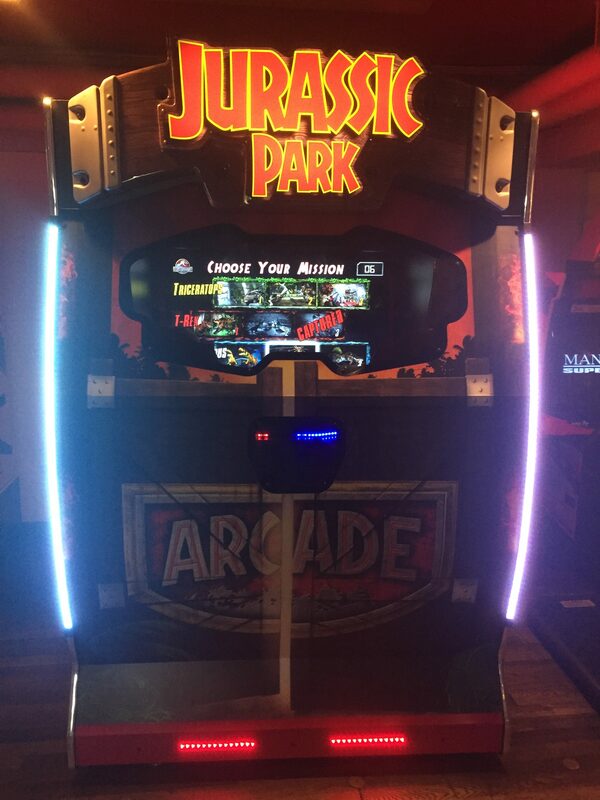 This one is even better than Lost World, all i can say is Jurassic park Arcade FTW!. Bring us a Console PSVR version! 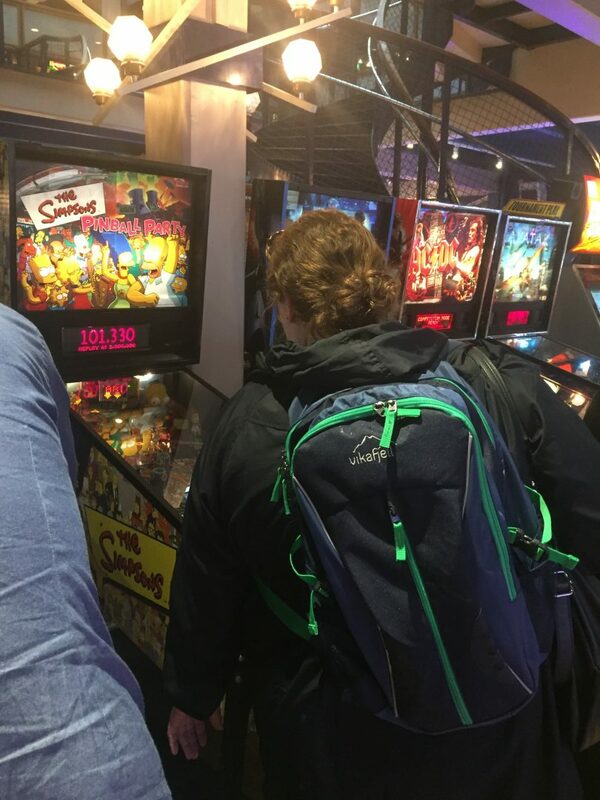 Very popular machine by the looks of things and there was several of this too in the Arcade. 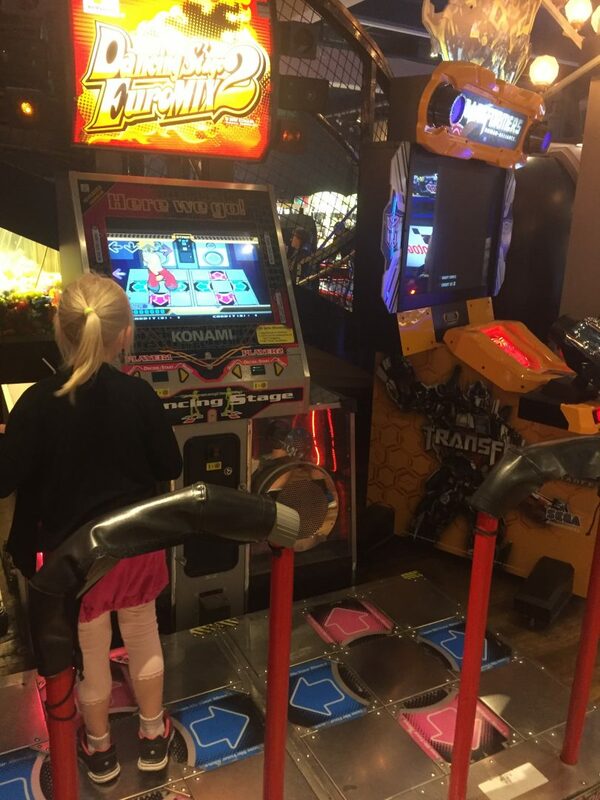 Pac-man Smash, brilliant shuffle puck game and naturally one that we played quite a few times!. My son (8) playing Pac-Man Smash, Batman, Wave runner and JP in the back. Battle Cars 3 in the back there, Wave Runner reminds me of how badly we need more games like this. 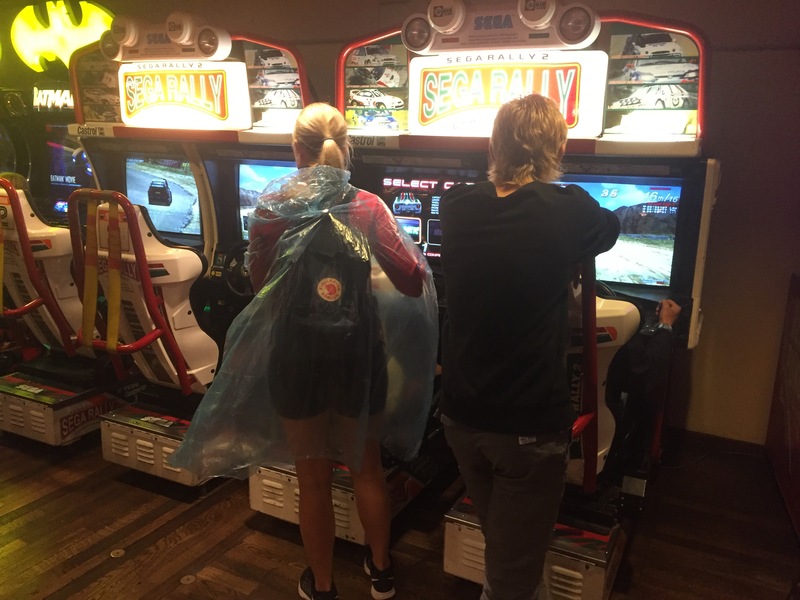 Yup, even more, SEGA RALLY 2 machines!. 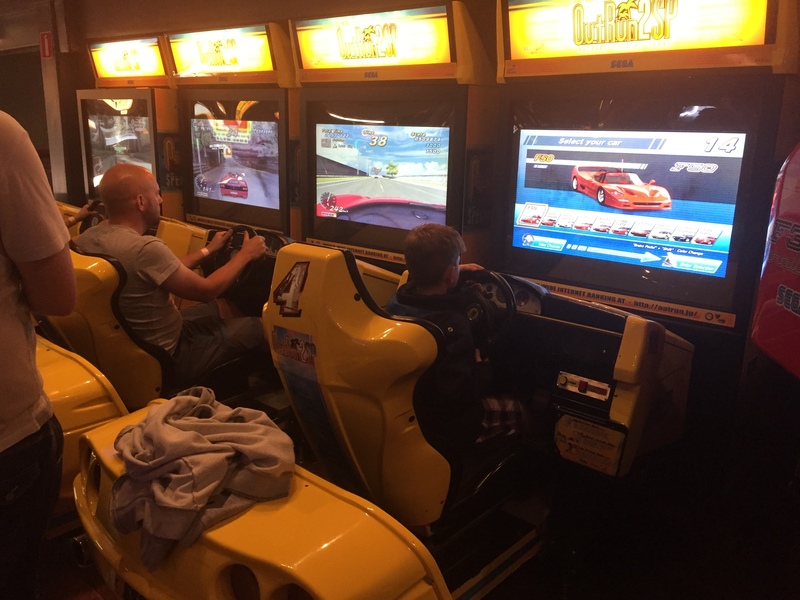 The Fast And Furious cabs, i was surprised last time i visited…not so much this time around and i guess most others would agree on that too, not exactly top stuff. In the Groove 2 in the back, there was popular tho, and the girl dancing had proper skills!. 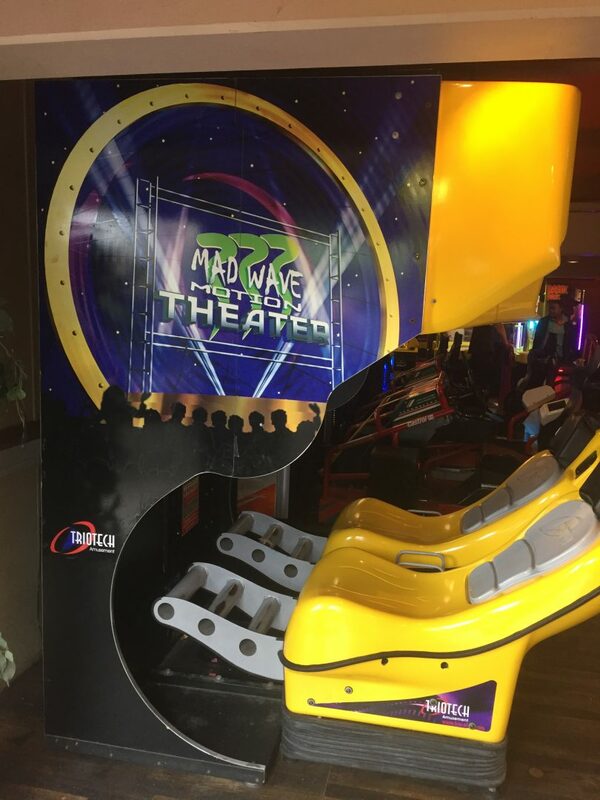 Mad Wave Motion Theater from last time was still there, still popular!. 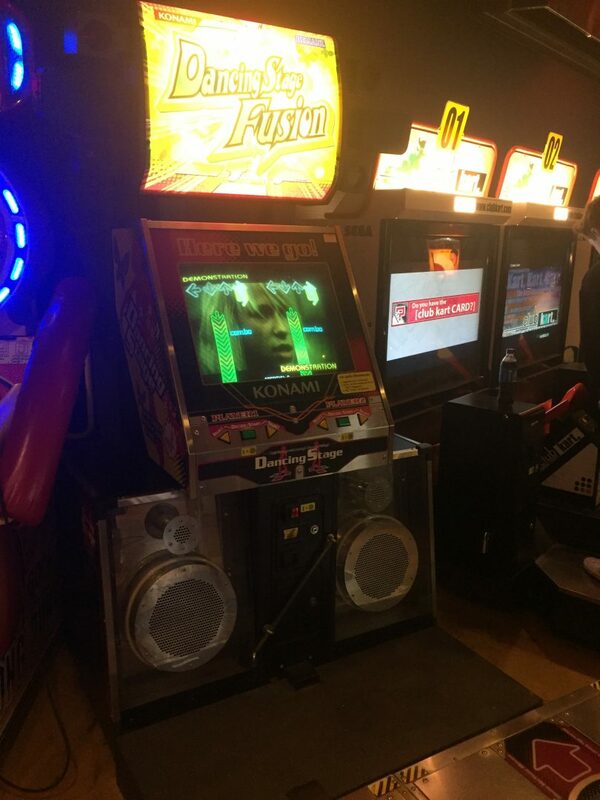 An awesome looking unit, it just looks so cool yet so old. 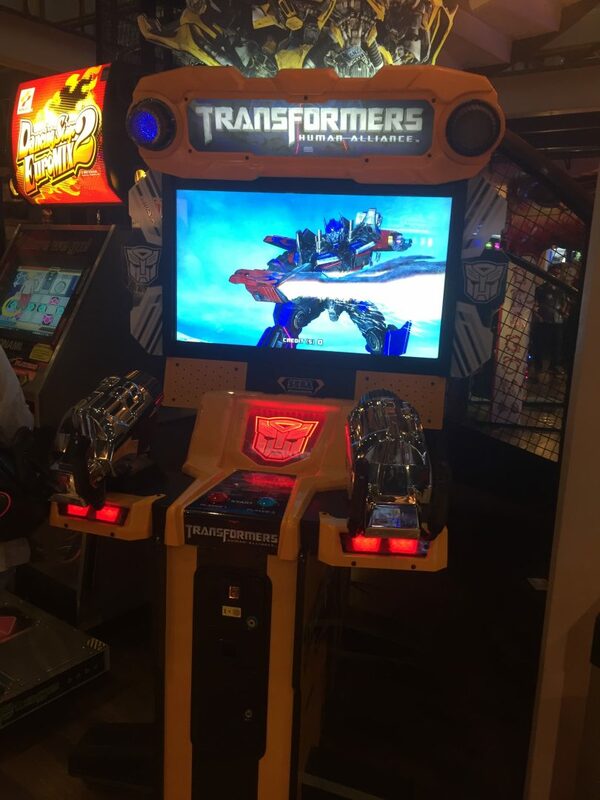 Transformers Human Alliance, i had pictures of this last time too although this time around i managed to get better ones showing the thing… another picture further below. 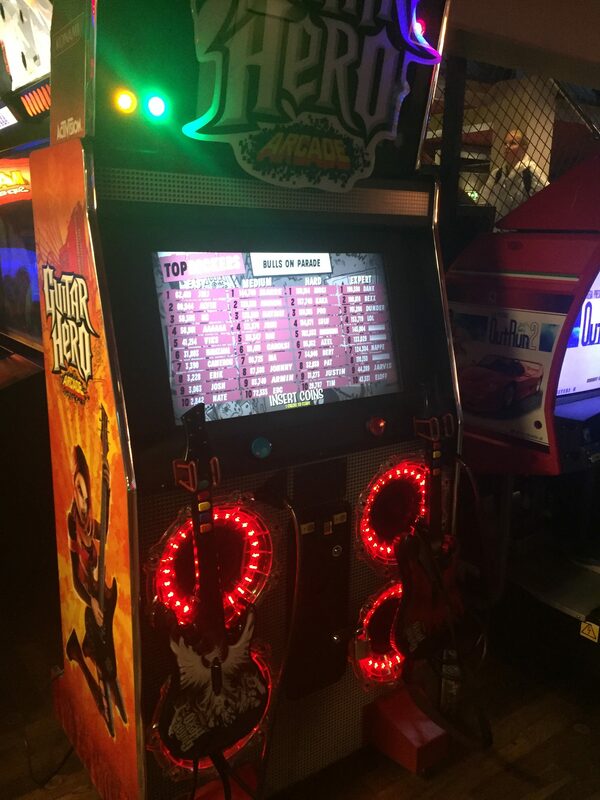 Now if only we could get a console version of this! 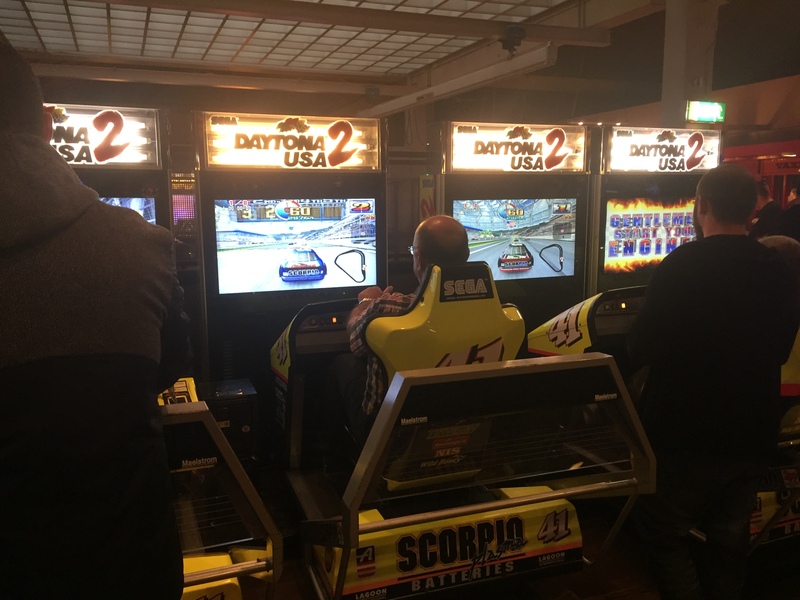 One of the best arcades ever made was naturally there, Daytona 2!. 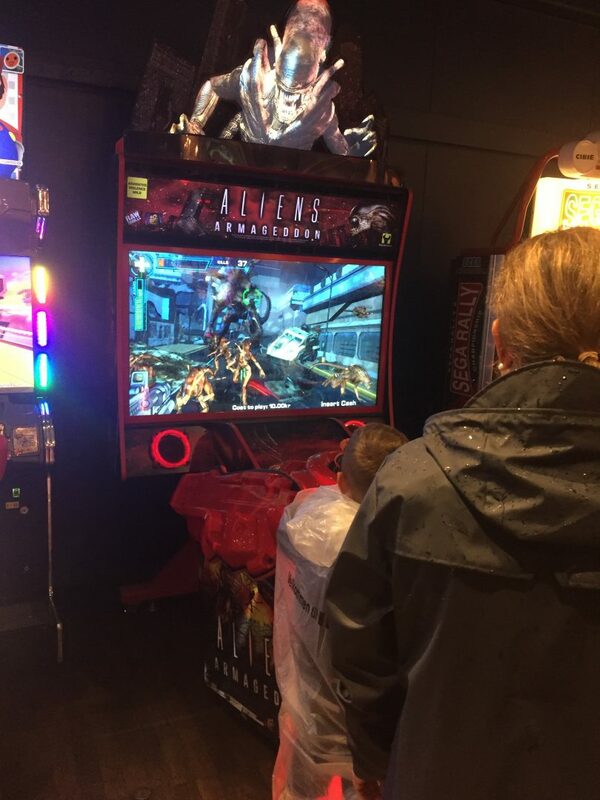 My son played this game like a gazillion times at the GAME ON 2.0 event last year but still had to have a go now too, what can i say, he got a good taste. 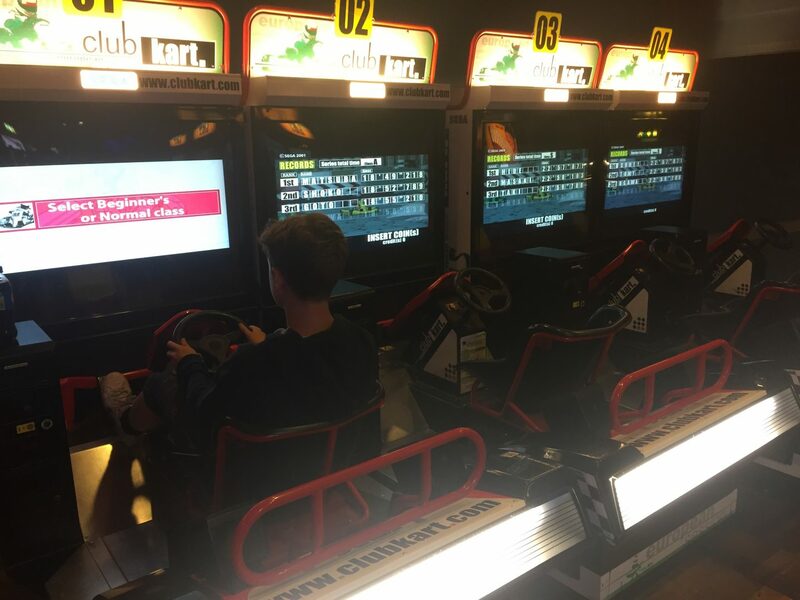 GTI Club in the back there, solid game. That Sega Dream cab is covered a few posts further down. 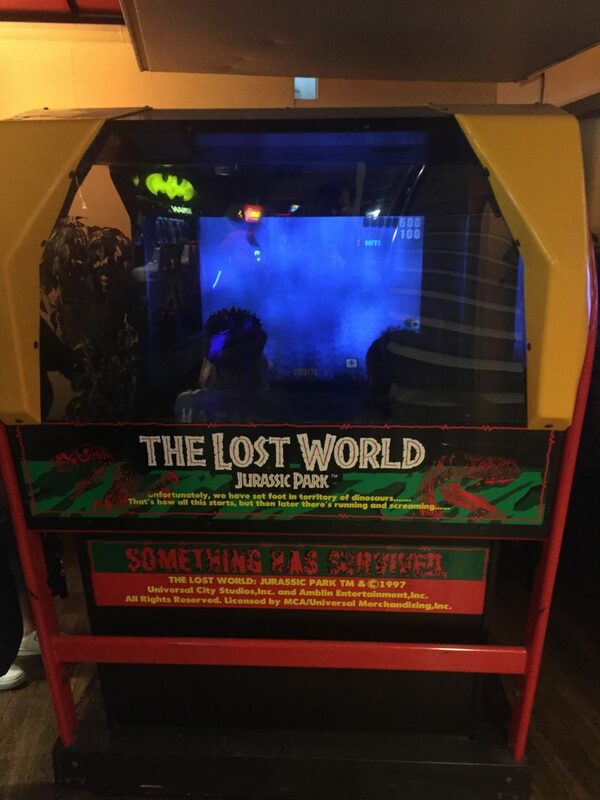 Another one of those The Lost World Cabinet. 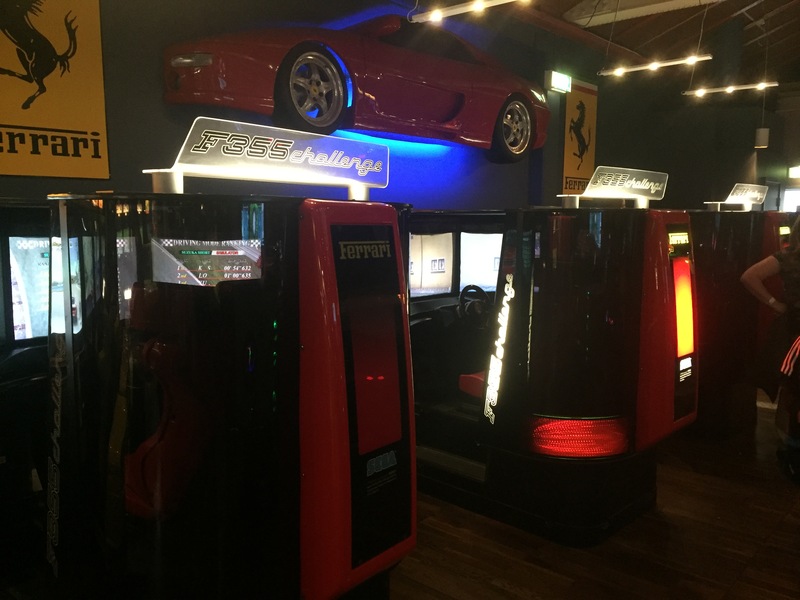 F355 Challenge, 4 of them in a row with a 1:1 size replica on the friggin wall! just as brilliant as always and one that i can never get enough of, the game is way too much for me though, that said this has to be the best prop ever. 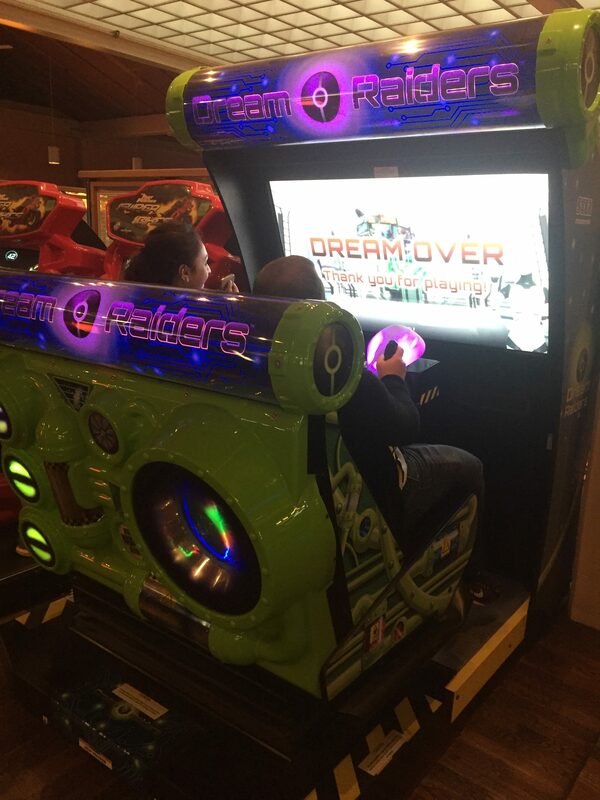 I am rather clueless when it comes to Dream Raiders, it’s like i never saw it before although this is at least the second time that i have done pictures of it. I guess i need to check Youtube or something, lovely cab btw. 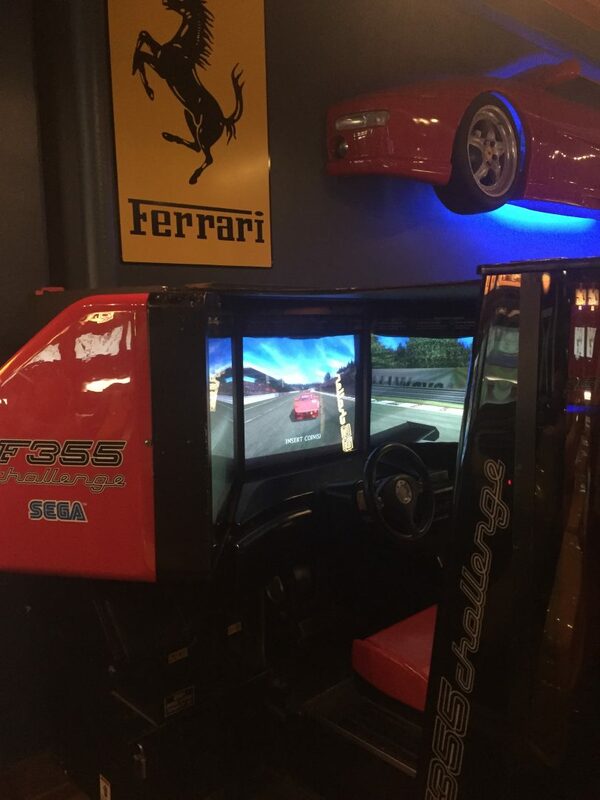 A closeup of the F355 Challenge cab, this is brilliant stuff!. 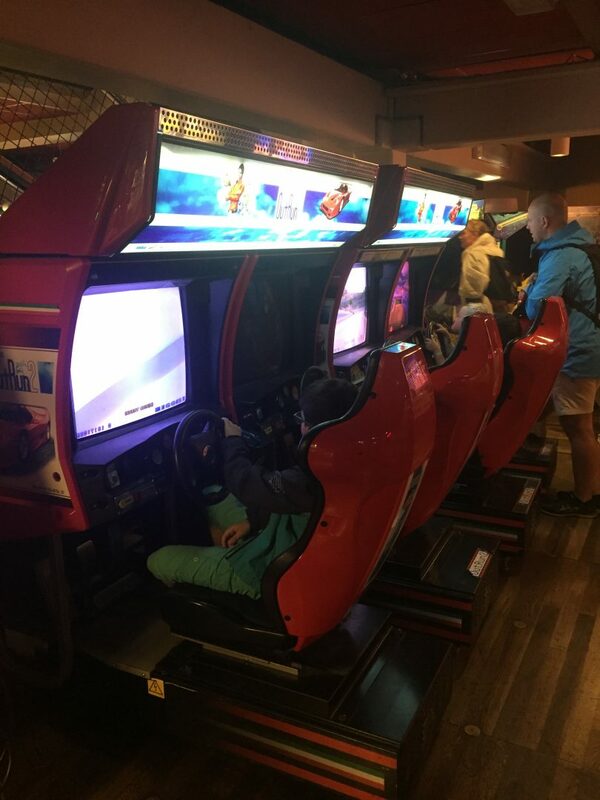 My son (8) giving OutRun 2 SP a go too, loved it too of course. 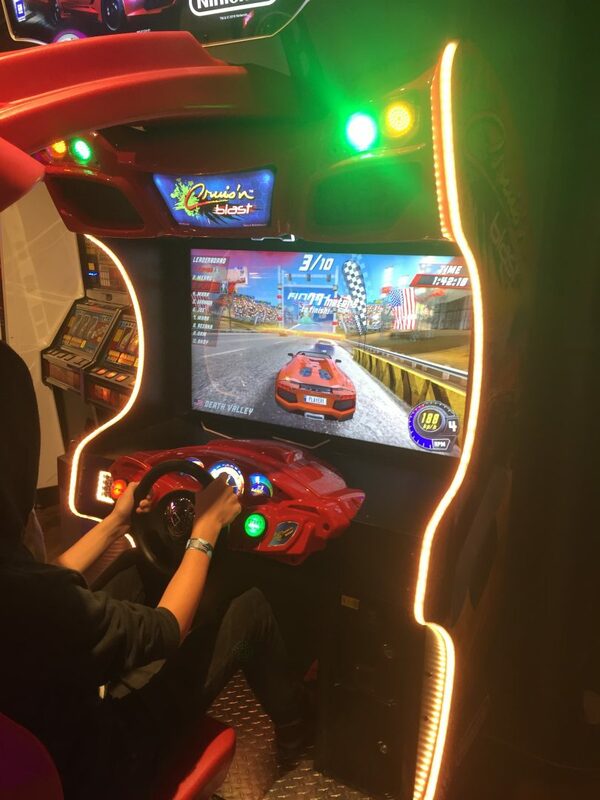 I learnt him all my tips and tricks for OutRun 2/SP/Arcade/C2C and he did show some skill and of course some cone slapping drifts to gain some extra time. New one! , Cruis’n Blast from Nintendo. I had no idea that there was a new one in the series out, so i got really stoked and as a huge fan of the originals back in the day i naturally had to give it a go. 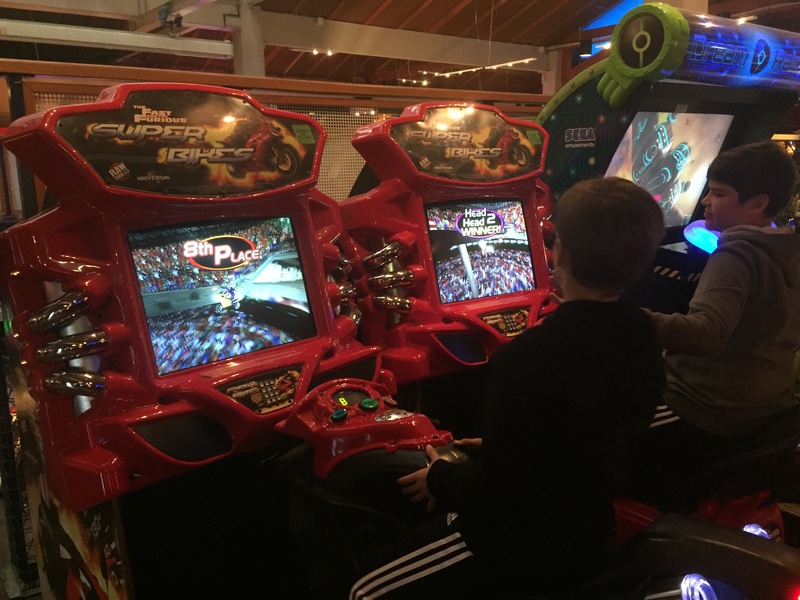 I and my Son (8) had a go right after these two guys, he enjoyed it quite a bit but i was more or less quite disappointed with it, horrible controls and awful tracks made this game nothing like the old ones. Happy that i gave it a chance tho. 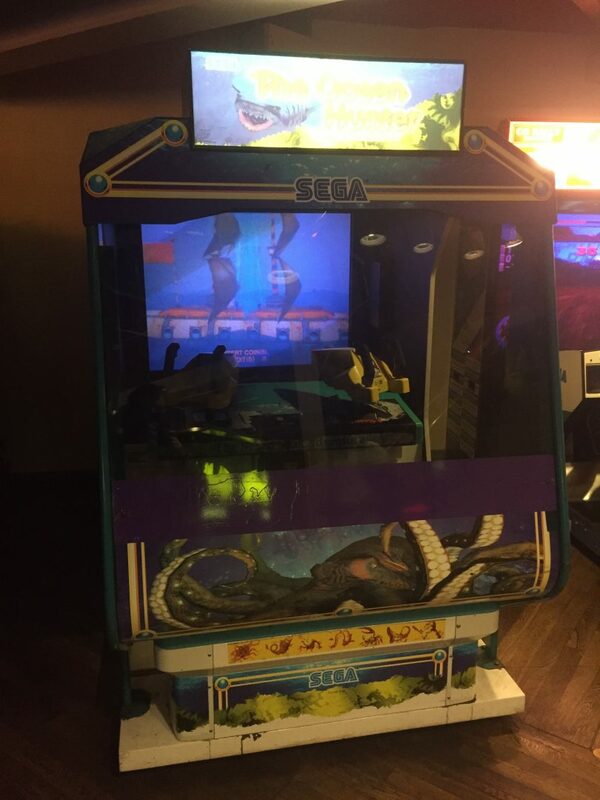 Brilliant looking cabinet with a quite good game to beat. Aliens Armageddon. 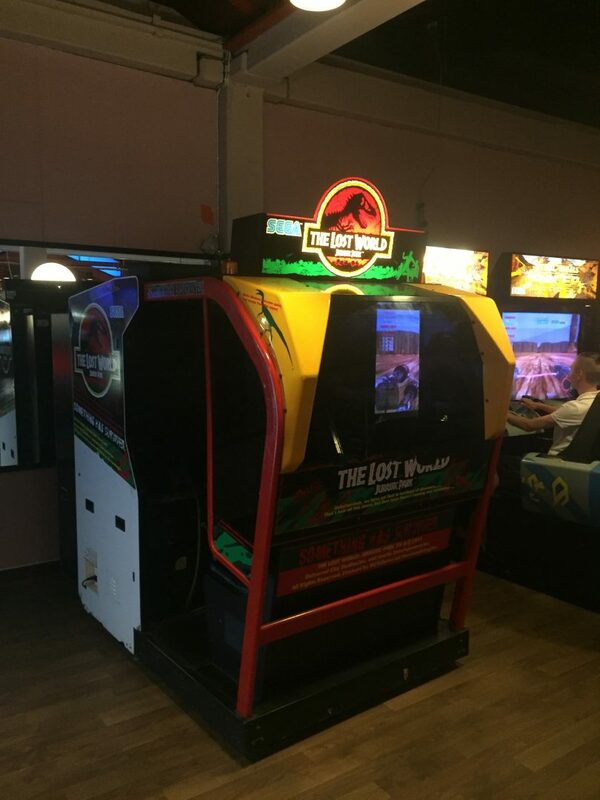 A Console version would have been awesome. Another new one!, MotoGP. 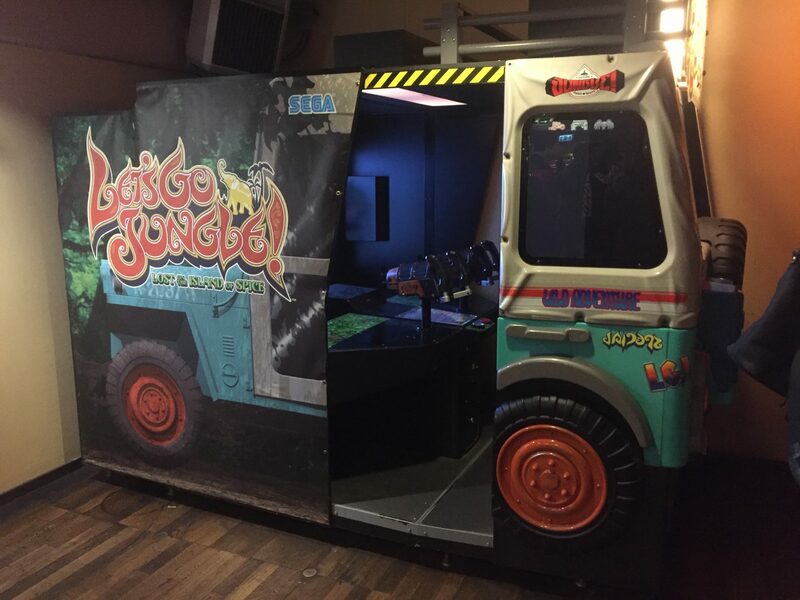 4 Player Link Cab. Looks a lot like the Console version although i am not sure as this is a series i steer clear of as its way too boring for me. 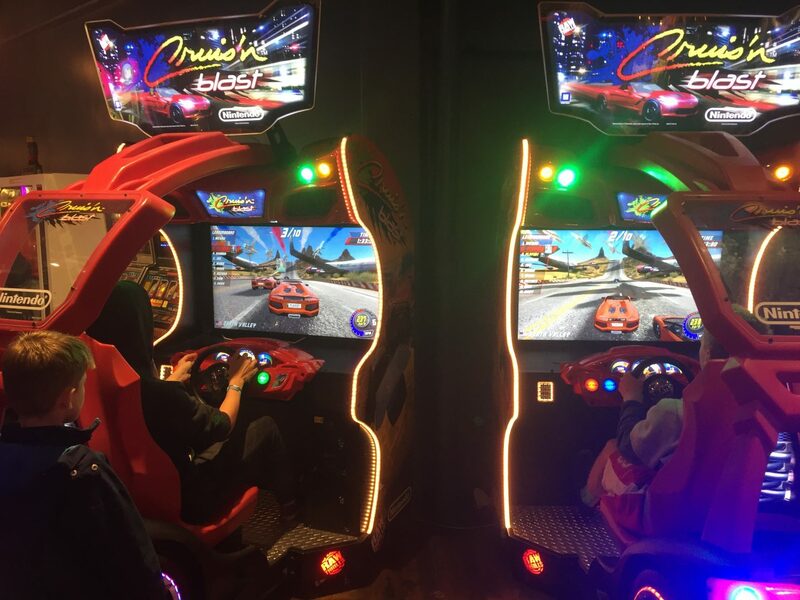 Here you can see Cruis’n Blast and MotoGP cabs. 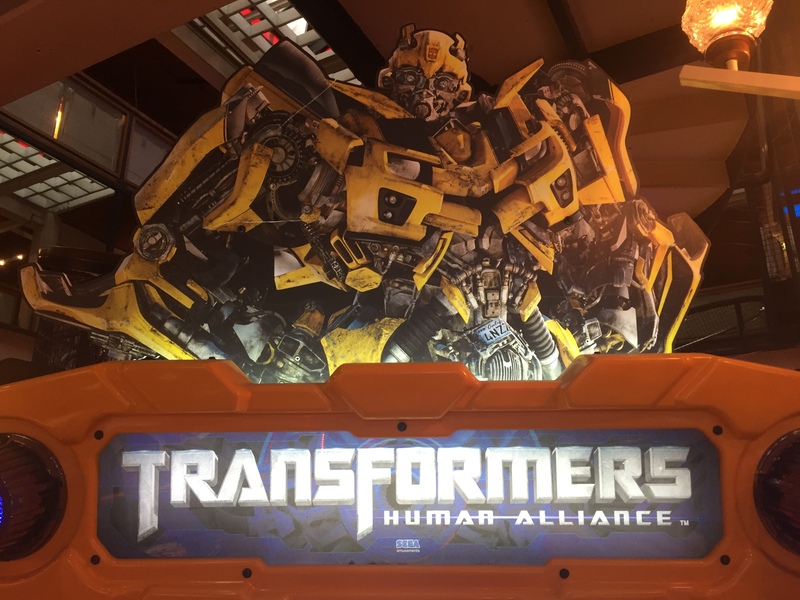 Transformers Human Alliance cab, here is the top of the cab.. lovely stuff! 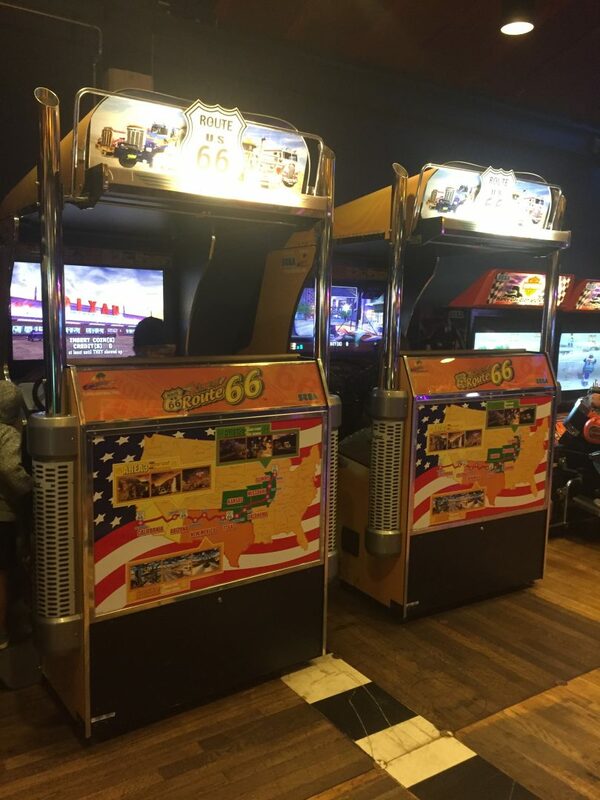 Route 66 is one of those Arcade machines that have aged badly, but due to the market being non-existent this means that this will do for now, awesome concept and everything but a new version with better graphics certainly would have helped a lot. 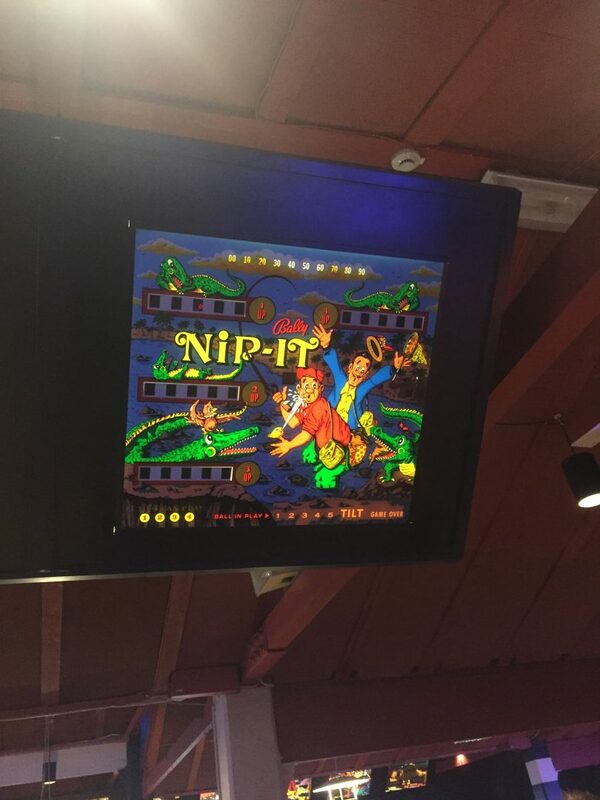 Nip-It pinball wall art, this used to be a pinball game i guess… sad but still cool that they went and used the parts for wall art instead of throwing it in the trash. Several of these things can be found throughout the entire building. 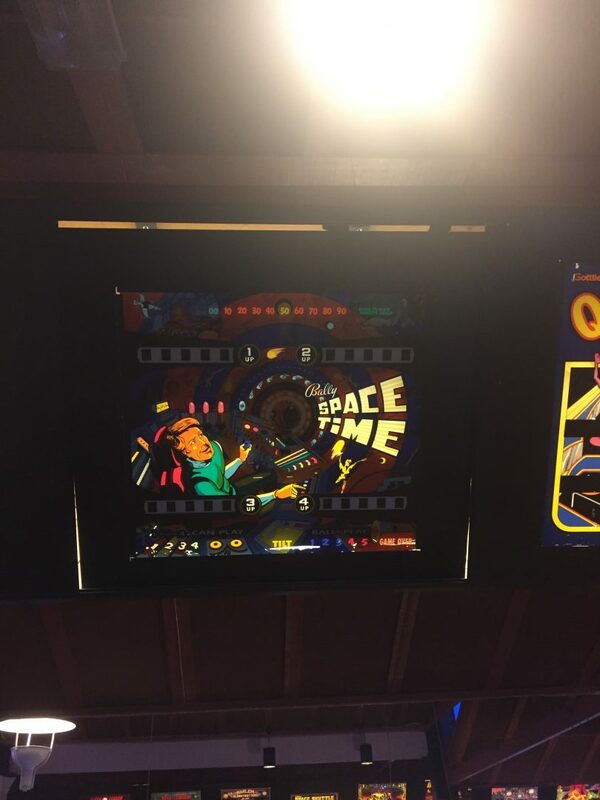 More lovely wall art from old Pinball Machines. 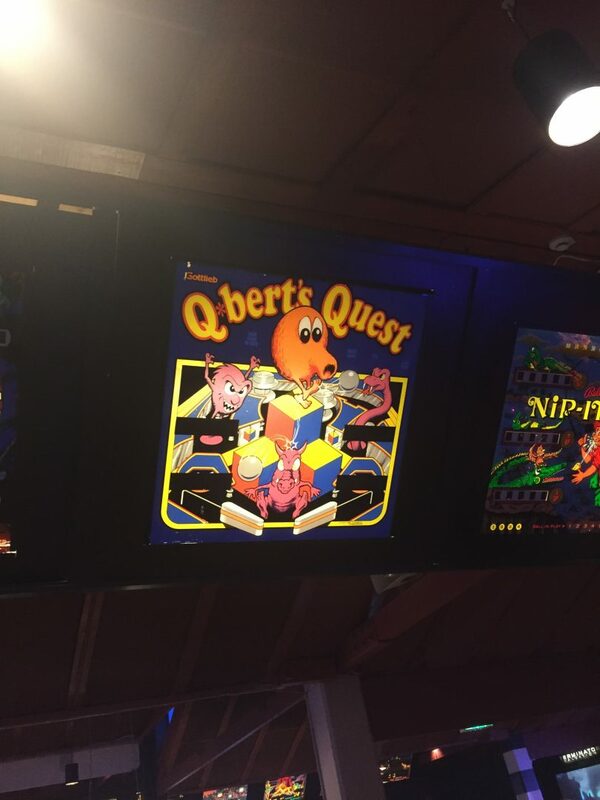 More Lovely Wall Art from Pinball machines. 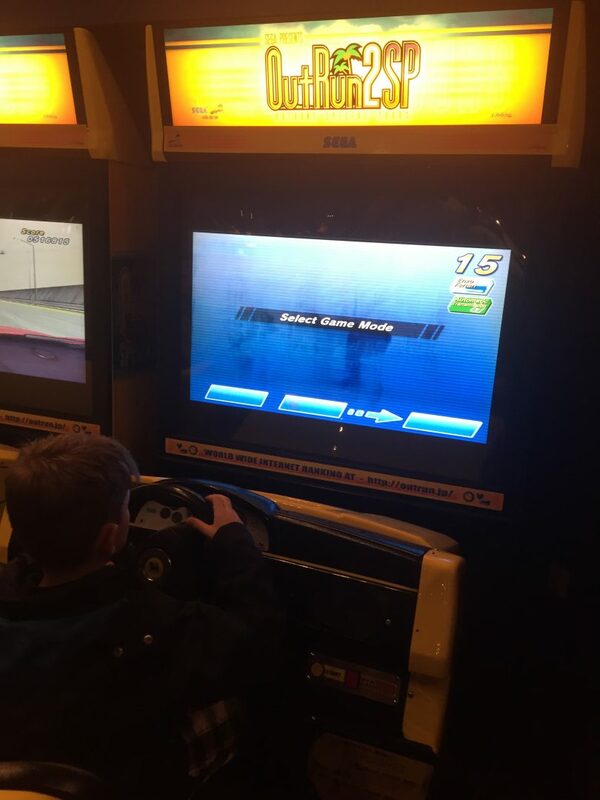 GT Club Kart is one of those classic games that you always forget about until you see it again, standard SEGA quality although i still prefer Formula Karts S.E over this one. 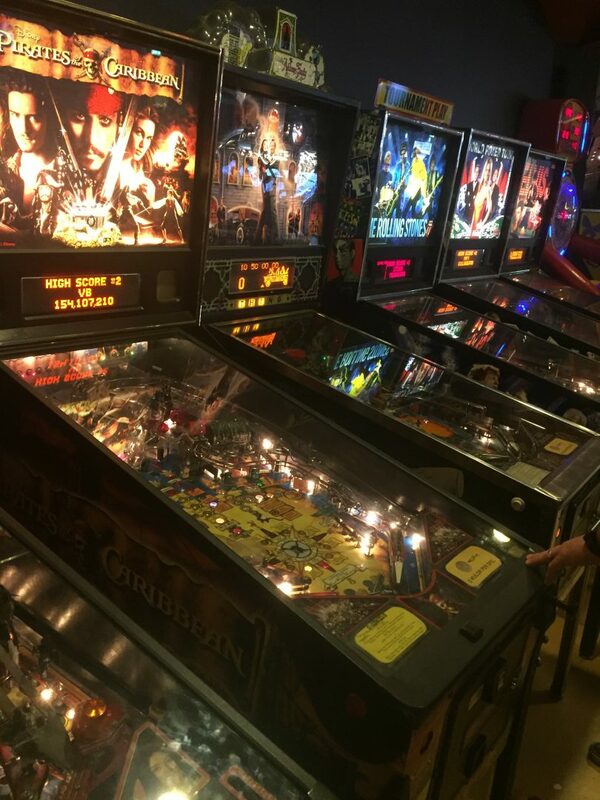 More awesome pinball tables, unchanged line from the last visit. 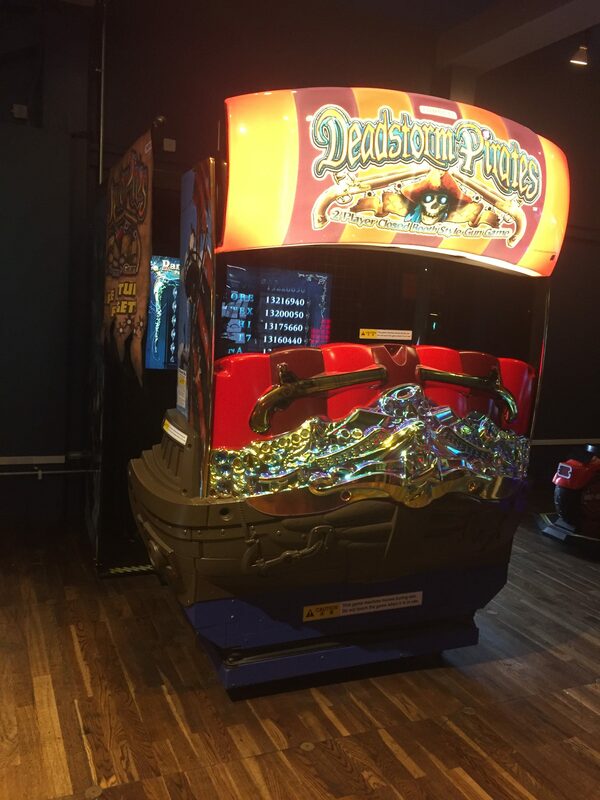 POTC, Addams Family, The Rolling Stones, World Poker Tour and Elvis. 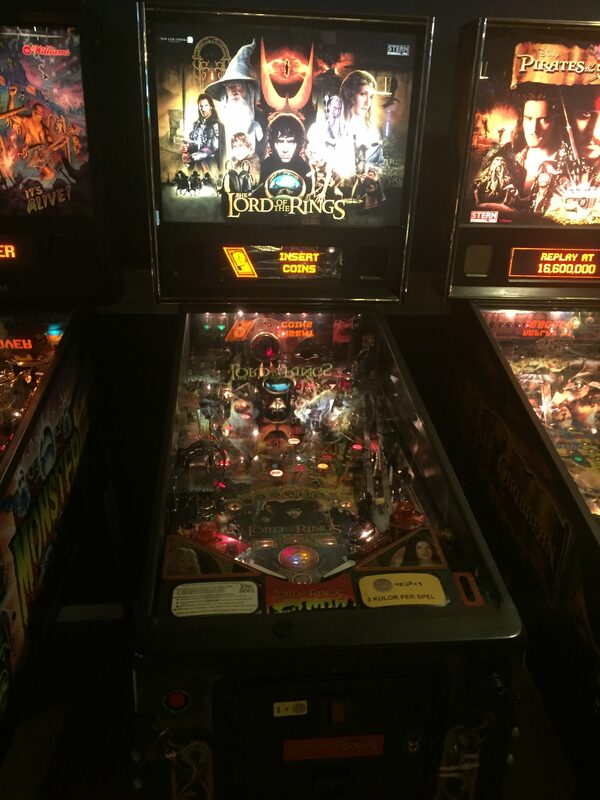 Lord Of The Rings Pinball, still awesome!. Monster Bash was extremely popular as always, i didn’t bother with it as i have played it to death on the PSP, PS3, VITA and PS4 waaaaaay too much. 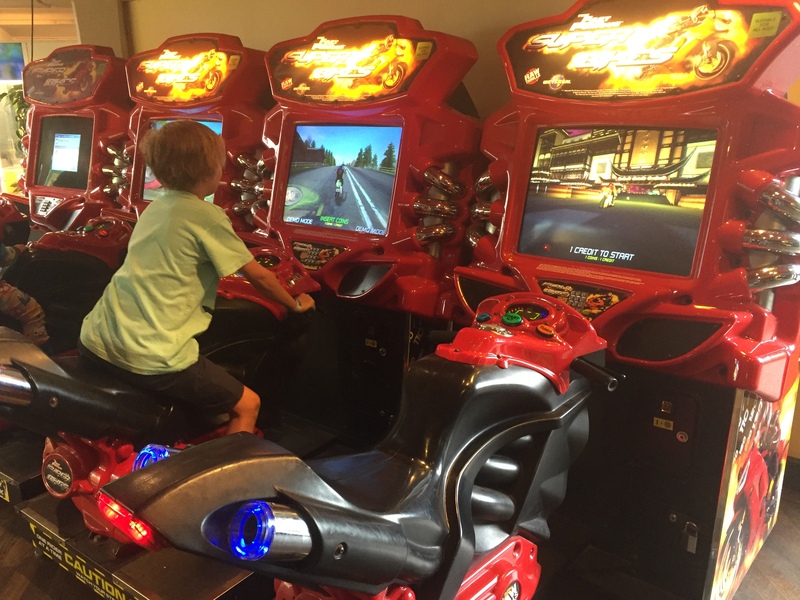 More Super Bikes 2 full-size cabs. 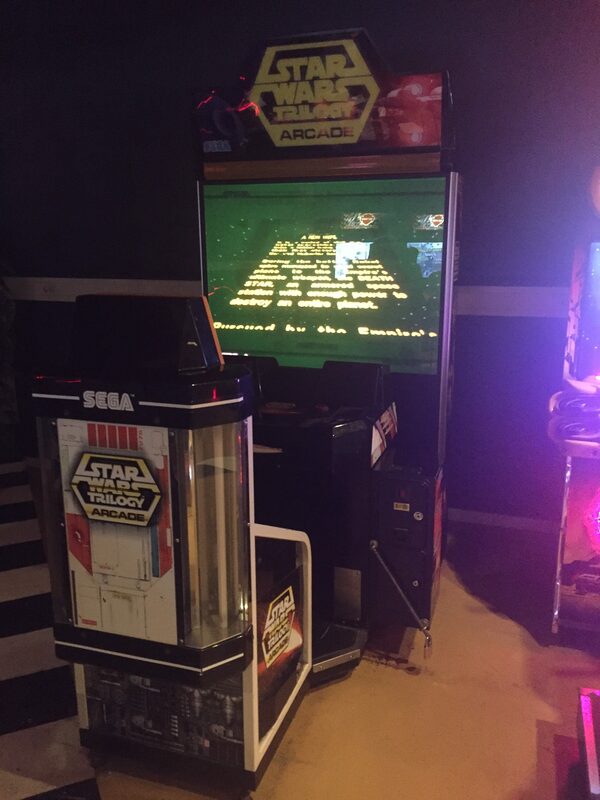 Star Wars Trilogy Arcade, what a game this is!. 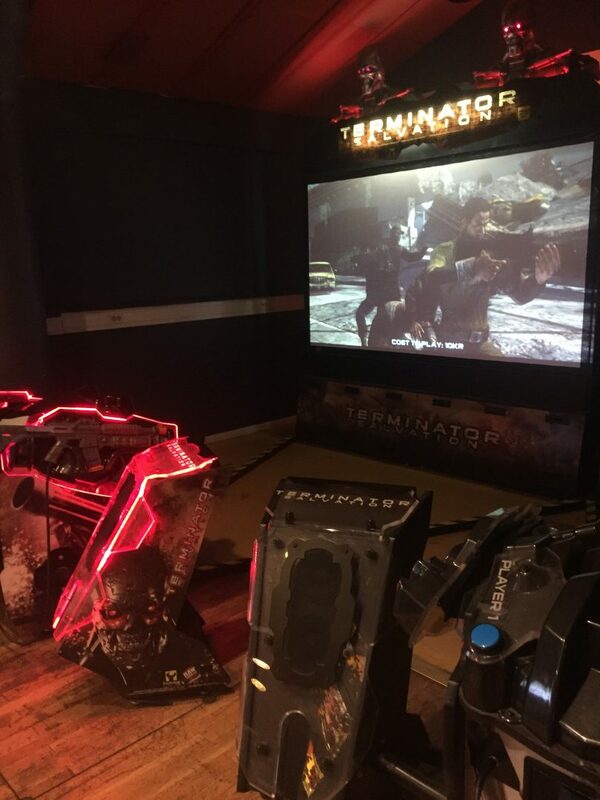 Only two Terminator Salvation Cabs this time, either they’re not popular or they break down easily i do not know, wonderful looking one nonetheless. 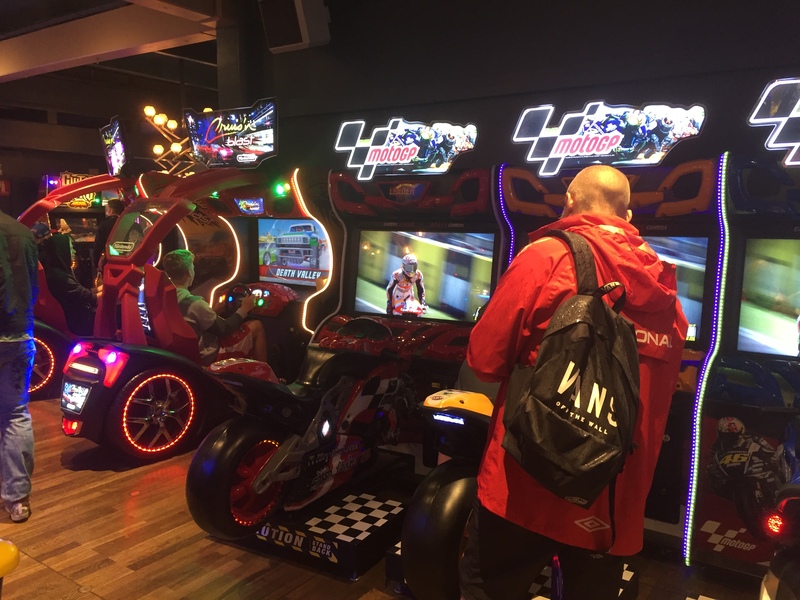 This is sadly the end of this long photo blog, it was impossible for me to do pictures of everything due to the sheer size of the building and even more so because of there being an endless stream of people visiting the arcade. 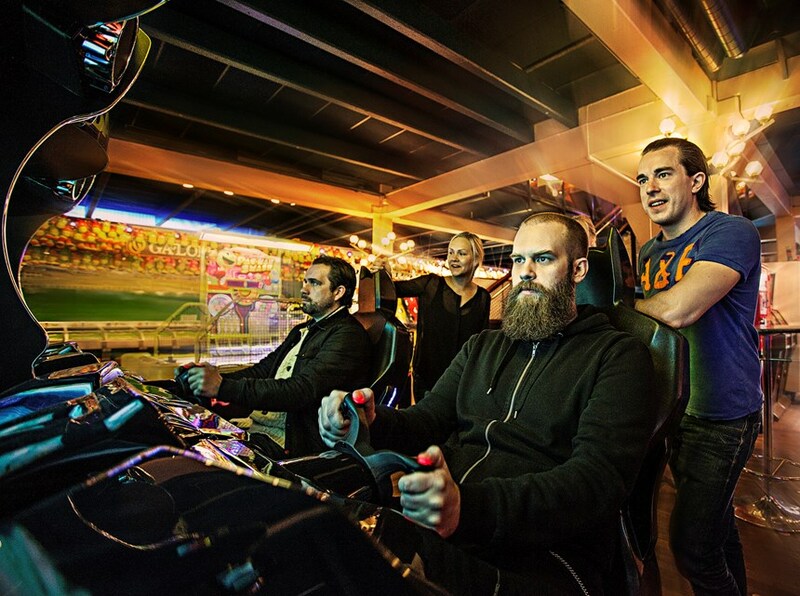 I feel extremely lucky to have been able to visit this fantastic Arcade again, Spelhuset is the largest i know of and i have to admit that i fear it’s gone every time i visit Liseberg. I hope to be able to visit again sometime in the future, if i do that then i will do another follow-up article of course. Ok so that’s all and as always I hope that the people included in my photos do not go crazy when they find out that they are in my article on this very blog. If you are in one of the pictures here and don’t like that then let me know, I will remove it. Mmmm, and you said my Japan articles were long? LOL.